There is a reason why every homeowner in London wants to savour our carpet cleaning services. We combine innovative technologies with our vast experience to bring you a quality of service that you will not find anywhere else in London. We vacuum, clean and treat your carpets until they are spotlessly clean. Concisely, if you want your carpets to look as good as new, we are the carpet cleaners you should be talking to. If you have been thinking of disposing your carpets because of the unsightly stains they have developed over time, hold on. We might have a cheaper solution. 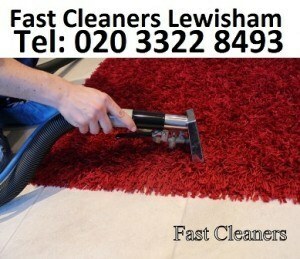 At Fast Cleaners Lewisham, we have developed workable solutions to stained carpets and rugs. We use biodegradable solvents to remove even the most resistant stains from your carpets. We use both wet and dry cleaning methods. Our carpet cleaning team comprises of the most professional and highly skilled carpet cleaners in London. Every member of our team is trained and certified by the National Carpet Cleaners Association, which is the sole body responsible for governing the conduct of carpet cleaners in the UK. By working with our team, you are assured of high levels of professionalism, diligence and a satisfaction that you will be proud of. In case you are unsatisfied of the cleanliness of specific areas on your carpet, our Professional Cleaners guarantees a free re-clean of the spot within 24 hours from receiving your request. Our guarantee ensures that we strive to do a thorough job on your carpets and rugs and allows you to put more trust on us. If you would like to see our expert carpet cleaners in action and avail our cost-effective cleaning prices, give us a call right now on 020 3322 8493 and request a quote.